Now that we have explored the Eightfold Path, the next step is to incorporate it fully into our practice. 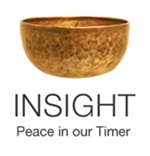 Using our analogy of the Cooking Pot from the previous post (review if you’ve forgotten or haven’t read it), we can build the fire of mindfulness in our meditation practice. Ah! Thinking! – We have noticed we are lost in thought (or in a sleepy fog), but now we are back in the present moment. Set the spark of Intention – We remember our intention to stay present in the moment and to be compassionate in the process. We don’t judge ourselves for having been lost, but rejoice in coming home to the moment. Fuel the log of Effort – We notice if we are holding tension anywhere in our body or if our body has slumped and bring ourselves back into energetic alignment. Fuel the log of Concentration – We bring the focus of our attention to the rising and falling of our breath. Fan the flame of Mindfulness – With our focus steadily on our natural breath rising and falling, we fan the flame of mindfulness. The above process may feel a little cumbersome at first, and, as I discovered in class, it is cumbersome to lead as a meditation because the words get in the way. But visualizing it can be very useful and powerful, and with practice it will become smooth flowing and feel more natural. I was asked why we don’t mention Right View, Right Action, Right Speech or Right Livelihood in this meditation. Well, in meditation our only job is to mind the fire of mindfulness. And it reminded me how our ancestors sat around the fire, keeping it burning through the night, and how their form of meditation was staring at the flames. With the Cooking Pot Analogy, we have the added benefit of visualizing our spark of intention underneath the pot (Wise View). By keeping the whole process in our lower abdomenal area (dantien in Chinese, hara in Japanese) we are encouraging being rooted in our core instead of in our heads. This entry was posted in cooking pot analogy, http://schemas.google.com/blogger/2008/kind#post, meditation, visualization on May 6, 2009 by Stephanie Noble.